On April 20th, the Senate passed a bipartisan S. 2012, which sponsors hope will become the first broad energy bill in almost a decade. In addition to electric grid modernization, the Energy Policy Modernization Act supports energy efficiency in buildings. It directs the Secretary of Energy to "encourage and support the adoption of building energy codes...that meet or exceed the model building energy codes, or achieve equivalent or greater savings, and support full compliance with the state and local codes". According to the Alliance to Save Energy, this bill will result in $60 billion in net savings for consumers by 2030. But other recent events have made it clear that the efficiency levels of future energy codes are in question. DOE's free energy modeling software is now expanding its capabilities to residential construction analysis. This means that the detailed hourly whole-building analysis can now be applied to more residential projects, where many designers currently use simplified but less accurate tools. It also accelerates the inclusion of new energy efficiency technologies in the Home Energy Rating System (HERS) Index. DOE is now adding residential modeling support to its OpenStudio energy modeling platform. During the last week of March, DOE also released the latest updates for EnergyPlus (V8.5) and OpenStudio (V1.11). EnergyPlus and OpenStudio are available for download from energyplus.net and openstudio.net. 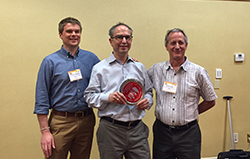 New Building Institute's Jim Edelson and the energy codes team from Washington State were recognized at DOE's National Energy Codes Conference last month with the Jeffrey A. Johnson Award for Excellence in the Advancement of Building Energy Codes and Performance. Jim Edelson is the NBI Director of Codes and Policy; he serves on numerous boards and committees and was instrumental in the development of the commercial portions of the 2012 IECC. Washington State individuals recognized included Chuck Murray, Washington Department of Commerce; Gary Nordeen, WSU Energy Program; and David Baylon, Ecotope. This group has spearheaded the development of the Washington State Energy Code (WSEC), a state-specific set of efficiency requirements that is one of the strongest in the nation. The 2015 WSEC, based on the 2015 IECC, is scheduled to become effective on July 1, 2016. Pictured, left to right: Jeremy Williams, Jim Edelson, David Cohan. Photo courtesy DOE. On March 9, the State Fire Prevention and Building Code Council completed major updates to the State Energy Conservation Construction Code. 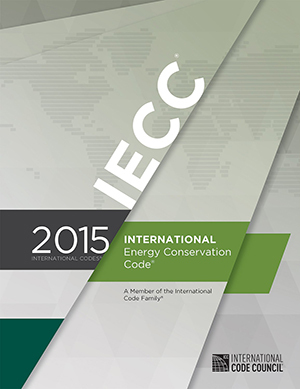 The Energy Code incorporates the 2015 IECC and ASHRAE 90.1-2013 by reference. The newly adopted energy code will become formally effective on October 3, 2016 with no transition period. The new residential energy code will include the Energy Rating Index (ERI) compliance option. ERI scores are not to exceed 55 for Climate Zone 5 and 54 for Climate Zone 6. Vermont, New Jersey, and Maryland have all adopted the 2015 IECC and/or ASHRAE 90.1-2013 over the course of the past year and a half. 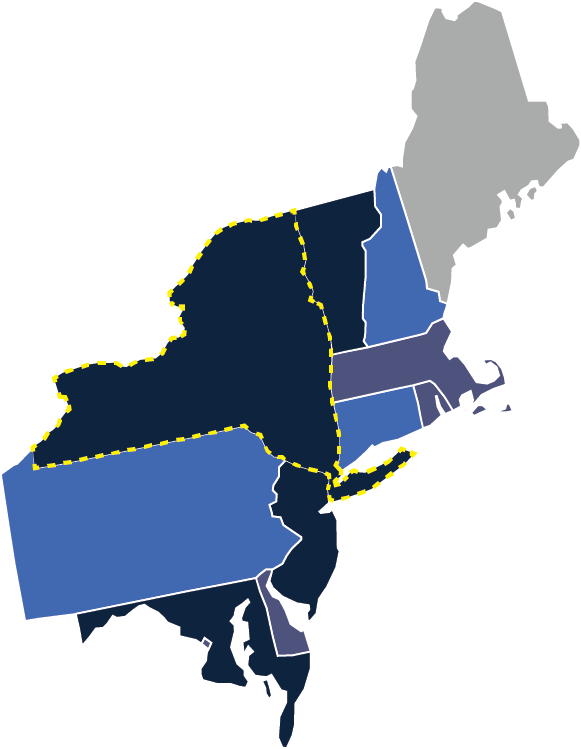 Massachusetts has approved a final draft of the ninth edition of its state building code; the energy provisions are based on the 2015 IECC and the 2015 IRC. On February 25th, The South-Central Partnership for Energy Efficiency as a Resource (SPEER) welcomed the third Energy Code Ambassador class to Austin, Texas for two days of intensive energy code training. With this class, SPEER now has 32 Ambassadors strategically spread throughout Texas and Oklahoma. This network of energy code experts allows SPEER to quickly and efficiently reach code officials throughout both states with a peer-to-peer network. The education and outreach provided by Ambassadors will be more important than ever as both states will likely be enforcing a new energy code this fall. The Energy Code Ambassador Program was developed by BCAP and ICC to empower existing code professionals so they may develop their familiarity and expertise with energy codes and share their knowledge throughout their jurisdiction and state. For more information, please click here. Also in February, SPEER published the Energy Code Adoption Toolkit. The toolkit can provide a city with all the information and resources they need to aid in the smooth and timely adoption of the 2015 IECC. SPEER's work with the Oklahoma Uniform Building Code Commission (OUBCC) has helped to facilitate the State's adoption of chapter 11 of the 2009 IRC. Though a few amendments were made, overall the code is as stringent as the published code. The amended code as approved by the OUBCC, has been submitted to the legislature and will be acted on before the end of May. If the rules are not approved by both houses, they will be submitted to the Governor for her consideration and she will have until the end of June to approve the rules. If both houses approve the rules and the governor takes no action, the rules become law. Historically, the legislature and governor have approved the rules submitted by the OUBCC. If approved, the rules become law and are effective November 1, 2016. 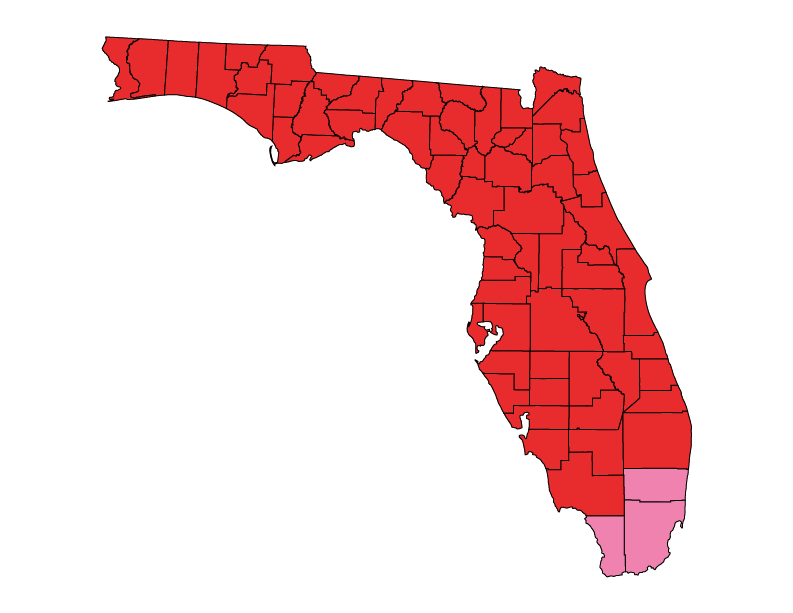 The Florida State Legislature has passed HB 535, modifying the state's energy code by adoption Section 406 of the 2015 IECC. The Energy Rating Index (ERI) score for the state cannot exceed 58 for either climate zone. This code goes into effect July 1, 2016. For more information, please see BCAP's Florida state page. In late March, "Energy Codes WORK!" focused on achieving compliance, but sessions also covered development, adoption, policy, tools and research. The next upcoming topic will be Commercial Lighting Requirements of the 2015 IECC and ASHRAE Standard 90.1-2013. This webinar, scheduled for May 12th at 1pm EST, will explain each requirement and provide useful examples that help clarify potential application variations or issues. The information provided will supply the user with a better understanding of the intent of the requirement and what would be considered appropriate compliance vs cause for non-compliance. Click here to register! BCAP is nearing completion on the transition from energycodesocean.org to bcapcodes.org, with the goal of having a reliable, user-friendly, and simplified website that works better on modern browsers and mobile devices. Check out BCAP's new website! BCAP president Maureen Guttman weighs in on commercial energy code changes during the Group B ICC Code Hearings in Louisville, KY.
ICC has published a guide called Energy Code Essentials for the 2015 IECC, which is available for purchase and download here. A new research report from ASHRAE explores energy savings measures that can work across all non-residential building types. This report, "Development of Maximum Technically Achievable Energy Targets for Commercial Buildings: Ultra-Low Energy Use Building Set", is available here. The International Partnership for Energy Efficiency Cooperation (IPEEC), in partnership with the Global Building Performance Network (GBPN) and Pacific Northwest National Laboratory (PNNL), has launched the Building Energy Codes Portal to support an efficient international knowledge exchange on building energy code implementation. ICC cdpACCESS is the International Code Council’s new cloud-based system for the code development process (cdp). Log in with your username and password to collaborate, review, submit and vote on code change proposals and public comments. ISO has released their National Building Code Assessment Report on the status of the nation's building codes. ASHRAE has published a User's Manual for Standard 189.1-2014. This book, available for purchase here, is "intended to help engineers, architects, and contractors understand and comply with the standard and to help code officials and others enforce its requirements". Copyright © 2016 Building Codes Assistance Project, All rights reserved.